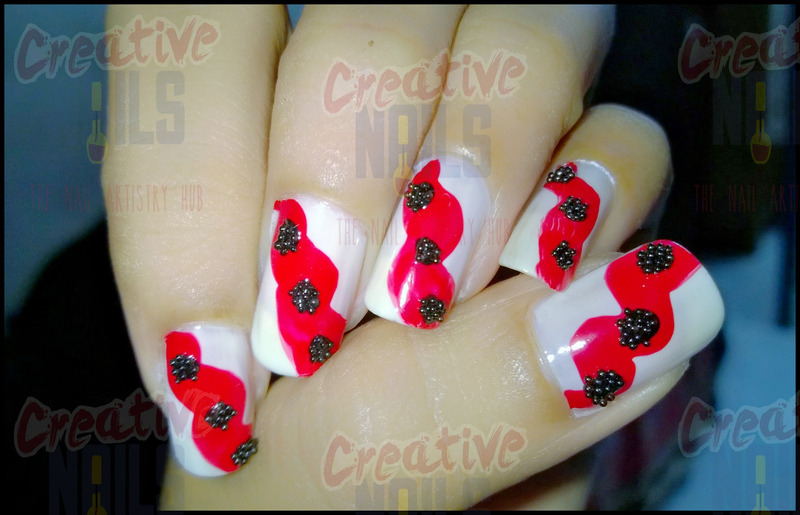 White-Red-Black – The Ultimate Color Combination Nail Art! Most of you liked my nail art with powerful colors (https://creativenails.in/2015/02/26/powerful-colors-nail-art/) and I got to know that many liked the red color. So today, Creative Nails tried to play around with some black beads on a red nail polish. Lemme know if you like it! ← Powerful Colors Nail Art! Hey dimple.. This is something new n its very catchy!! Good try! !